As much as it pains to admit it, the college football season is coming to an end. Next week we’ll even be talking about conference championships. But for now, let’s focus on what represents the last regular season match for many teams in college football. Since it’s Thanksgiving week, many games have already been played on Friday. Without further ado, let’s get to this week’s picks! A classic. This football game is played on a yearly basis and there’s always a huge amount of excitement for it. This time, Michigan looks like a very promising playoff-bound team. For the first time in the Wolverines’ time under HC Jim Harbaugh, Michigan seems to be a serious contender. On the other hand, Ohio State has struggled as of late. 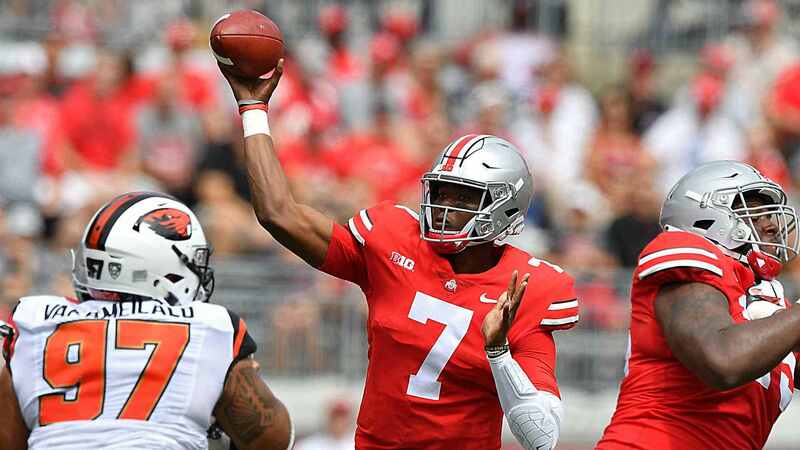 Inconsistency has been the name of the game for the Buckeyes and against such a tough defense, don’t expect them to score as much as we’re used to. Much has been said about the Tigers defense. Rightfully so, for they truly are a very impressive unit. However, Texas A&M is not far behind. They have a similar defense but a way better offense. LSU hasn’t been the offense we expected at the begining of Joe Burrow’s successful season as the QB. Playing at home, I see the Aggies taking the W this week. Their offense is real good and will likely be able to outscore this slow offense. The last time Boise State played a high-profile game at home was against Fresno State, a game in which the Broncos came back from a 17-0 lead. To be honest, QB Brett Rypien has done an amazing job this year. Playing a night game at home should give the Broncos a huge advantage in such a close game. Give me the home team. Yeah, it’s an SEC rivalry game. Yeah, it’s the Iron Bowl. But nope, this will not be a close game at all. Auburn has disappointed on offense and on defense and well, Alabama has dominated opponent after opponent. This time they’re a 24 point favorite at home. Even though the spread is high, Alabama should win this one comfortably.